It’s time for you your family and your friends and pets to become the stars of your art. Instead of featuring other people in the art you hang from your walls why not feature you and yours. 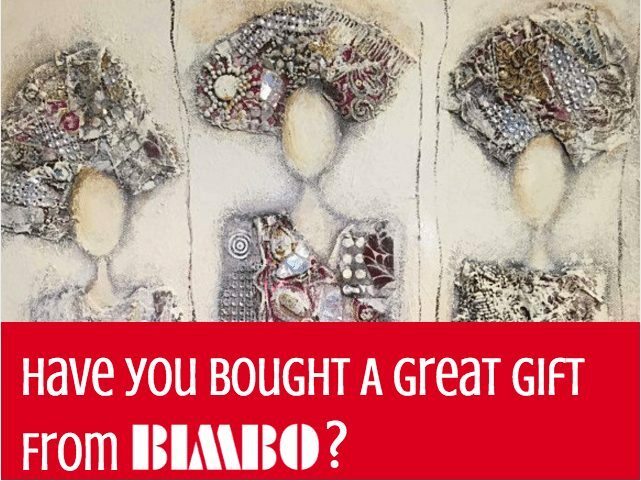 Bimbo has always been interested and promoted art for many years because of our interest in promoting artists we have developed a whole new concept for promoting art and artists. Currently there are heaps of different applications that can be used to stylize photos, but the problem is to use the apps well you need to have some artistic talent and lots of practice. Order A Unique Gift Now For That Special Someone! Bimbo has recently discovered a talented Adelaide Artist, Peta- Ann Jain. She is an artist with depth and diversity of creative talents. The spark of creativity finds its expression through her different styles of paintings. A vibrancy of colours, movement of life and harmony of geometric patterns are vividly echoed in her beautiful pieces. This stunning mixed media piece is perfect for a living room space, hallway or even in a bedroom. 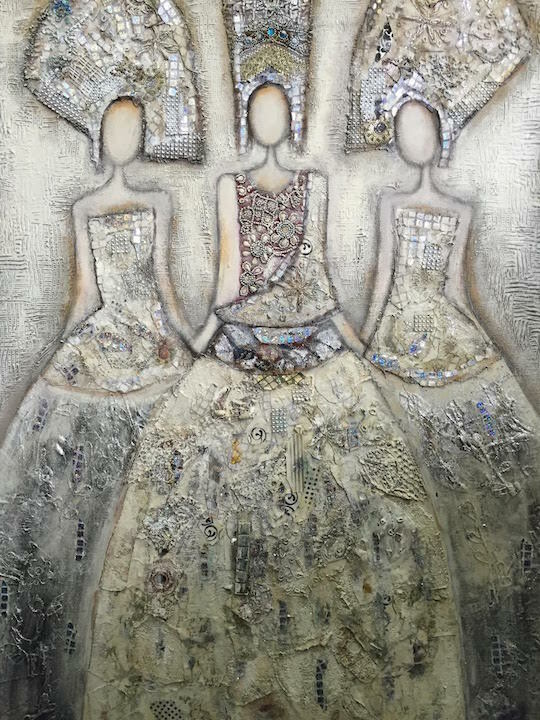 Peta-Ann created this piece using acrylic and other mediums with antique textiles to celebrate movement of colour and design with unique originality. 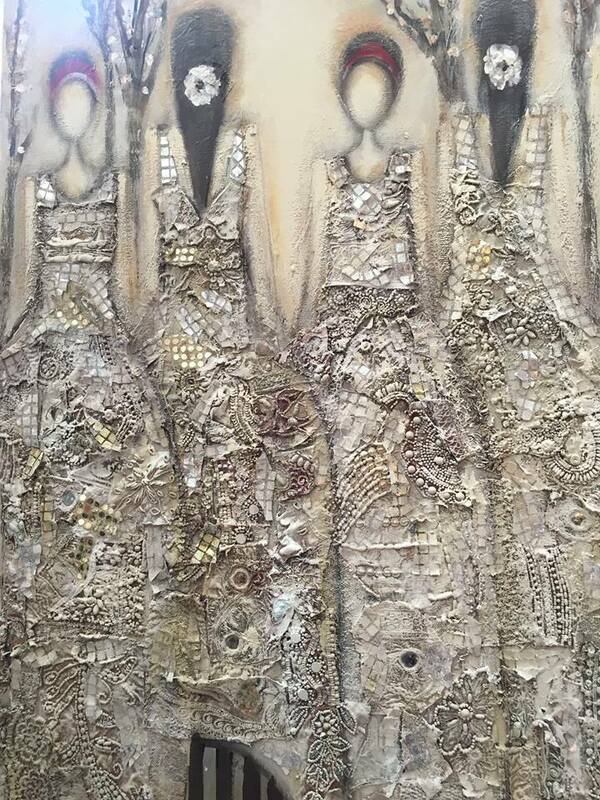 This piece captures the light of its surroundings and glistens in the sunlight. A beautiful and feminine piece, a beautiful gift for that special woman in your life. Epiphany is a rich and exotic blend of antique textiles from around the world that are combined with beautiful movements the decorated figures. The female forms capture an essence of infinity and limitless, expressing a timeless beauty that transcends age. The perfect piece for a home office or living space, Carnival is a mixture of rich colors and textiles from all over the world.Peta- Ann collected these exquisite textiles from the Silk Road during her travels in India and China. 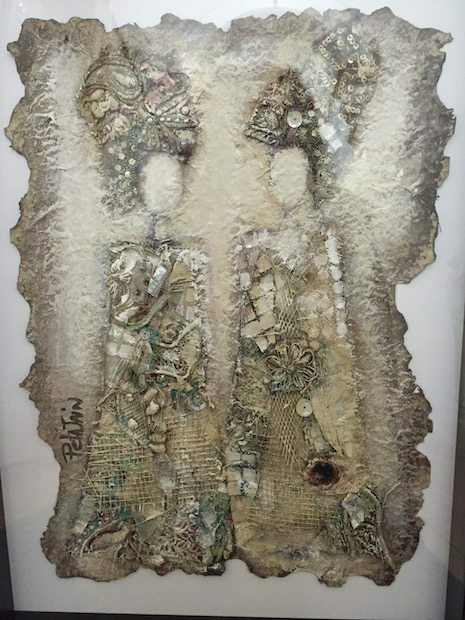 Two Sisters is a smaller framed piece on Himalayan parchment. It expresses the utmost sophistication, an exquisite piece for an office space, bathroom or study. 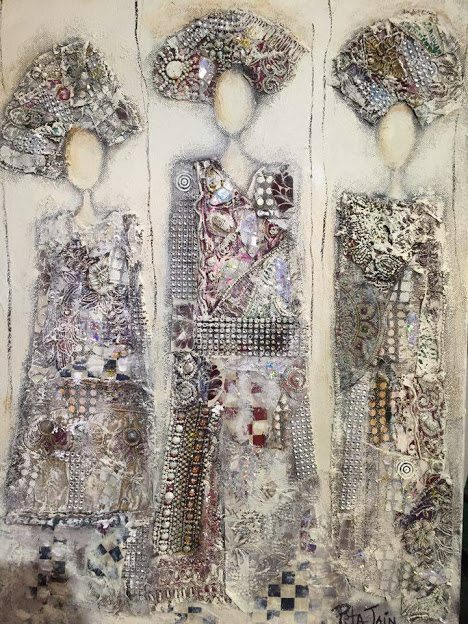 Peta-Ann’s artwork is widely appreciated due to its adaptability to suit different interiors, creating a beautiful space. These pieces make a beautiful gift for mothers, daughters, sisters or even that special woman in your life. Or, why not spoil yourself by purchasing a stunning piece for your home office or workplace. Adding a touch of sophistication and elegance to any space. 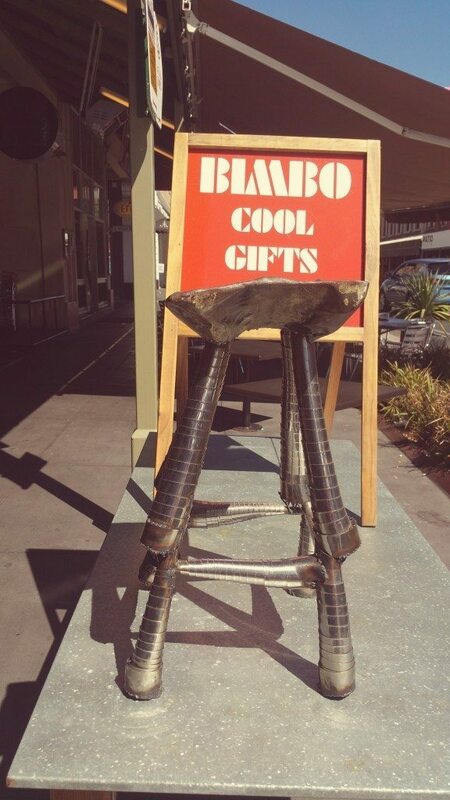 If you are interested in purchasing and want to see the piece in person give our team at Bimbo a call to make an appointment on 8223 4481. Last Friday Tony Kellie was sitting with a group of mates at the Exeter Hotel in Rundle Street East, surprise, surprise they were discussing old times. One of the things that came up was the changing face of Rundle Street. It was noted that the two main-stayers were our host The Exeter and Bimbo Gift Shop down the street. Bimbo started life as East End Imports 35 years ago about the same time the Ex was transformed into The “cool” pub. In the group was Peter Day, Tony Kellie, Simon Hackett and various others who are all long-term Exeter and Bimbo Customers. Pete started with a great story, about how he had bought a bloody big wooden Balinese statue (of a Duck), with a revolving head that stood close to a metre tall! He bought it to get back into the good books with his then wife who subsequently split and took the duck. 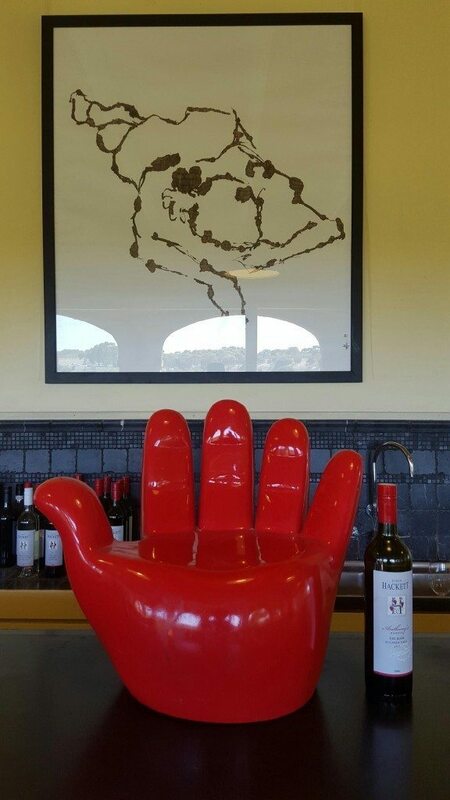 Simon Hackett’s favourite gift is a red kids chair in the shape of a hand which he gave to his granddaughter, who loves to sit in it and now her Dad, (his Son-In-Law) has now taken to repose in, all 6ft 3 inches of him. 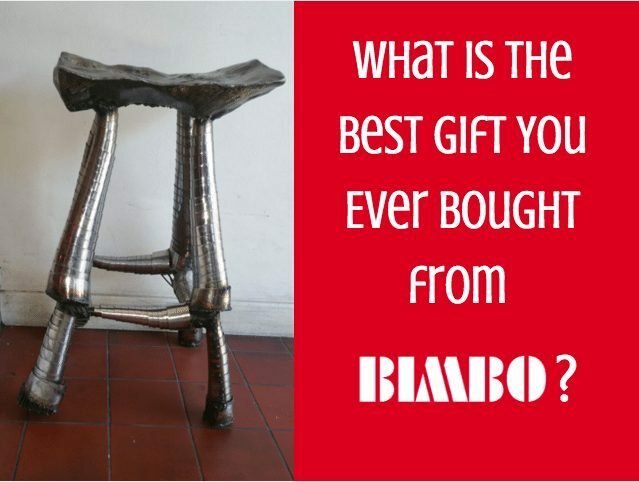 Simon Hackett loves this red hand chair he bought from Bimbo many years ago. On the way home the guys walked past Bimbo and dropped in to say G’day to CB alias Carol Bayer the proprietor and asked her what were some of her all-time favourite gifts. 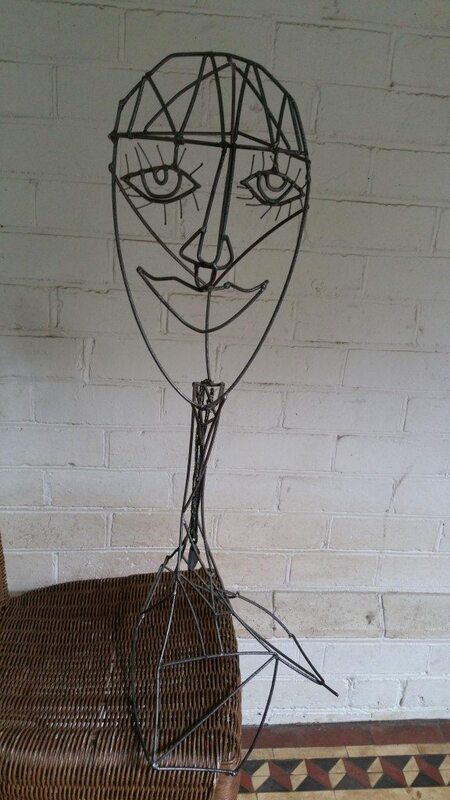 She said immediately said the artist -wire working welder who did some great stuff his sculptural wire stool which Cb still uses behind the counter to this day is featured below . CB couldn’t remember the wire artists name does anybody out there? 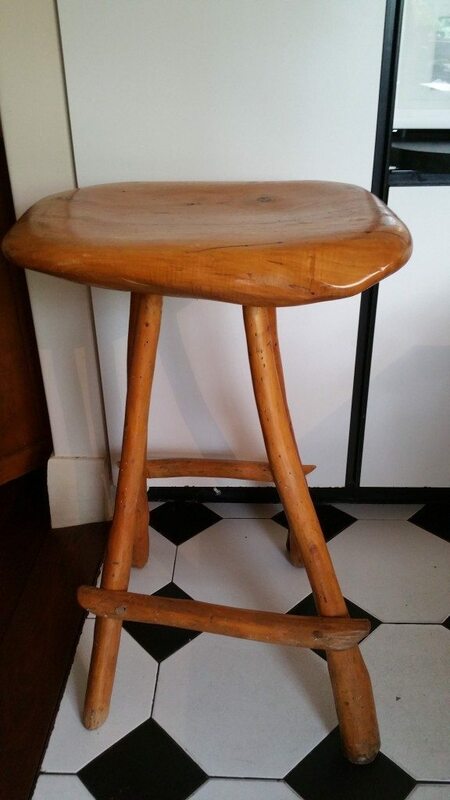 Carol loves this stunning chair crafted by a local Adelaide artist. We love hearing people tell us their stories about Bimbo and want to hear more stories about Chris, Carol or the good old days. It would be really cool if you folks send in some photos of your favorite gifts, or related photos, including ‘partying’. Truly, there have been some great gifts go out the door and we and we would love to hear about your memories. Drop us a line with a photo on our Facebook! Don’t know what to get for a present, like to buy something is REALLY DIFFERENT and shows you care. How about a personalized portrait? EXCLUSIVE to Bimbo we will arrange for an Australian artist to create a portrait of friend, lover, mum, dad even your pet. With just a photo our artists will create a portrait you will love. But HURRY – these are hand created – get in now.